I therefore turned my attention to different methods for disproving / proving NUMA awareness in the batch engine. 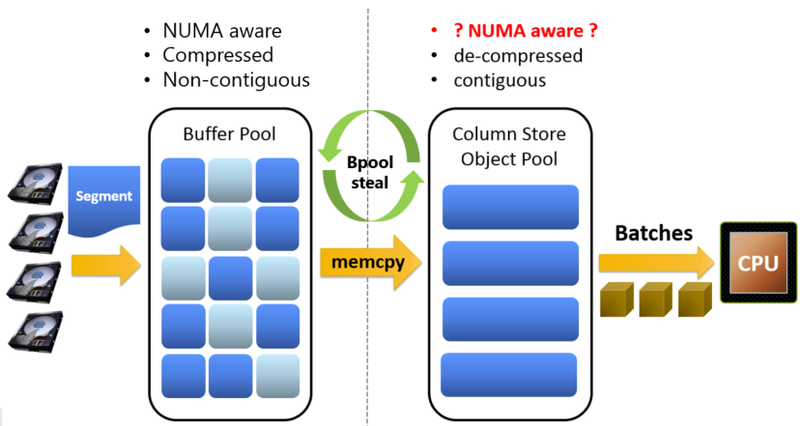 Data is delivered to the column store object pool via the buffer pool, memcpy a C/C++ function copies data from a source location in memory to a destination location, the column store object pool in this case. 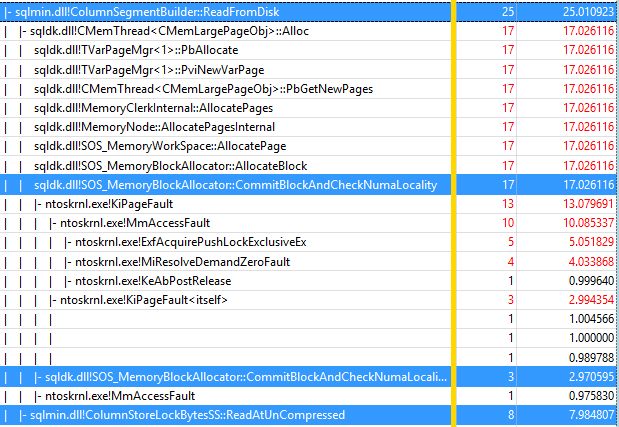 Each object is stored contiguously on adjacent memory pages. This simplifies and speeds up scanning of a column because there are no “page breaks” to worry about. This creates the best possible conditions for the CPU memory pre-fetcher to do its job and in doing so ensure that expensive trips are to main memory are minimized. 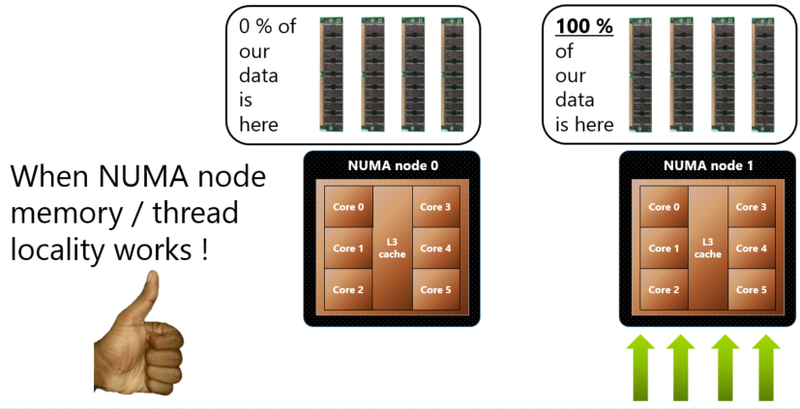 OLTP and NUMA, Locality, Locality, Locality !!! 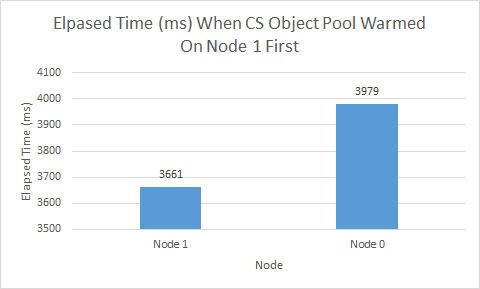 If the DOP for the query can be satisfied by a single node the ideal node (most workers, schedulers and memory available at the time the query is started) is selected. The controlling worker can be on a different node than the ideal. For example you could have NUMA port affinity established for NODE 1 but the parallel query executes on NODE 4 because 4 was the ideal node. This is not a problem because the majority of the work is done by the parallel workers which are located together on a node. 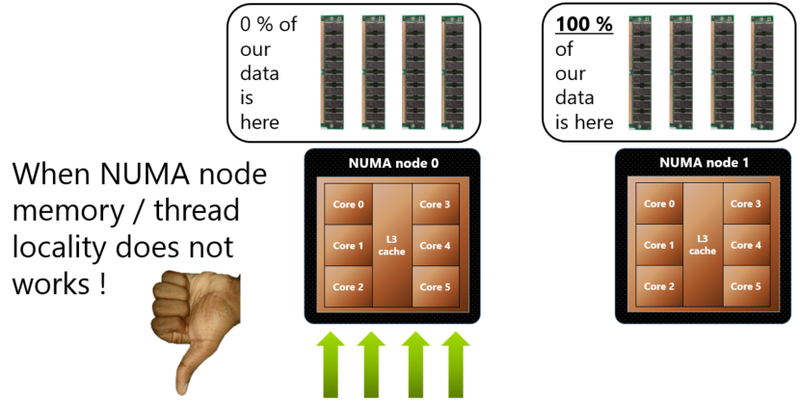 “Available memory” is referred to but there is nothing which mentions thread and NUMA node local memory affinity. 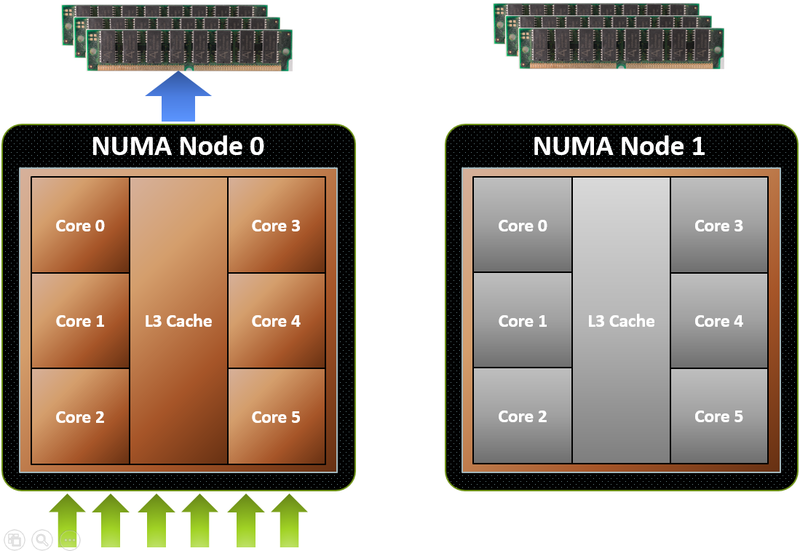 Enabling interleaved memory in the server’s BIOS turns NUMA off. Some server BIOSes allow individual CPU sockets to be turned off. 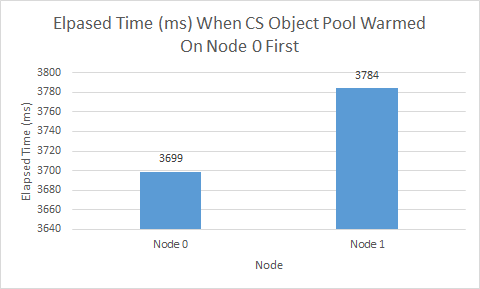 Trace flags 839 and 8015, these force SQL OS to treat the buffer pool as a single pool of memory and ignore hardware NUMA, this is covered in this CSS engineers blog post. 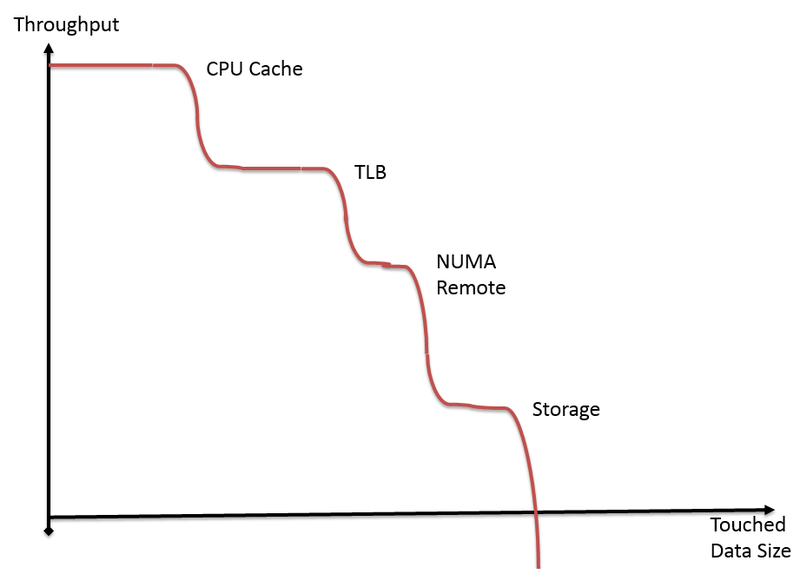 NUMA port affinity, this is more applicable to the world of OLTP than OLAP. This Is All Very Good, But Is My Server NUMA Aware ? 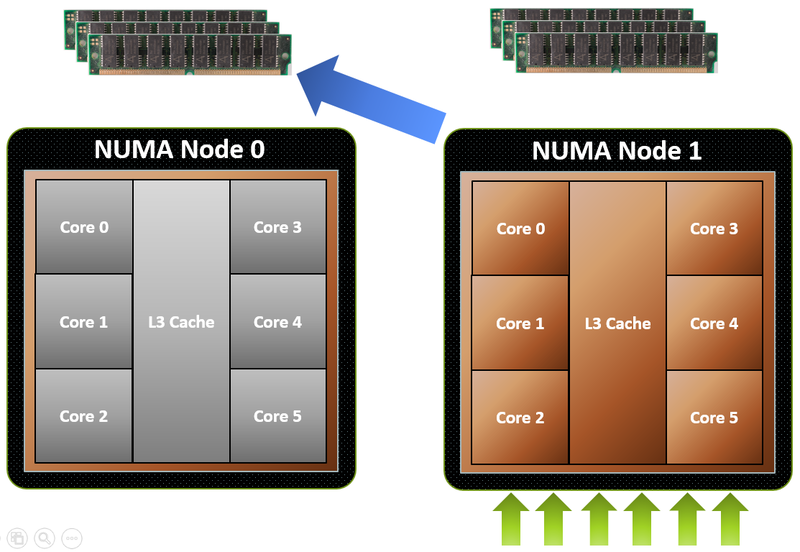 Which Logical Processors Belong To Which NUMA Node ? 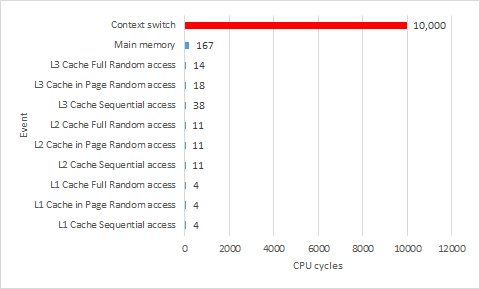 Unfortunately there is nothing I can see which exposes remote and local node memory access statistics for the column store object pool, at least not in SQL Server 2014. 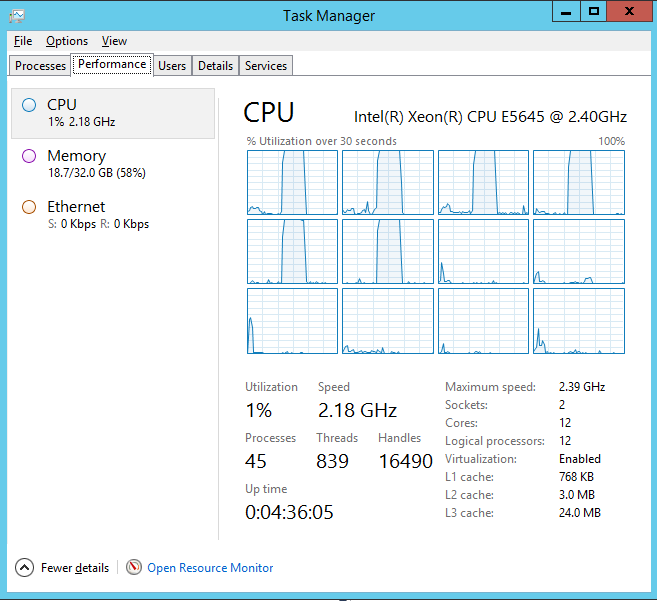 2 sockets, each populated with a 2.4Ghz 6 core Xeon (Westmere micro architecture). 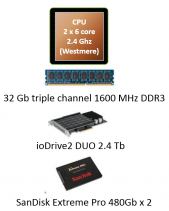 1 x Fusion IO 2.4TB ioDrive duo. 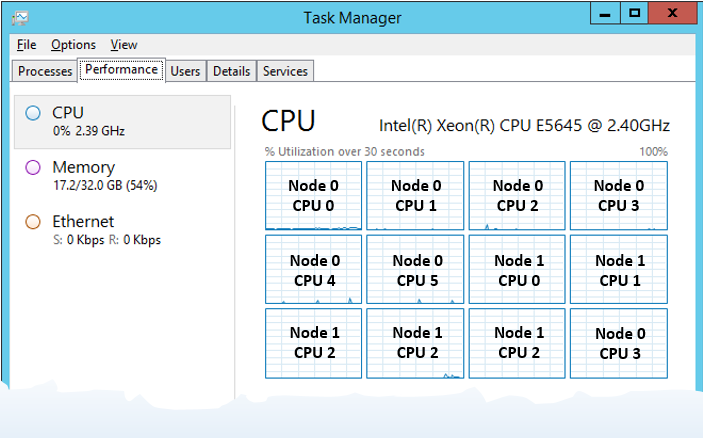 Every subsequent time the query is ran, SQL OS will use a different NUMA node. I would like to thank Joe Chang for giving me a nudge in the right direction when investigating this. 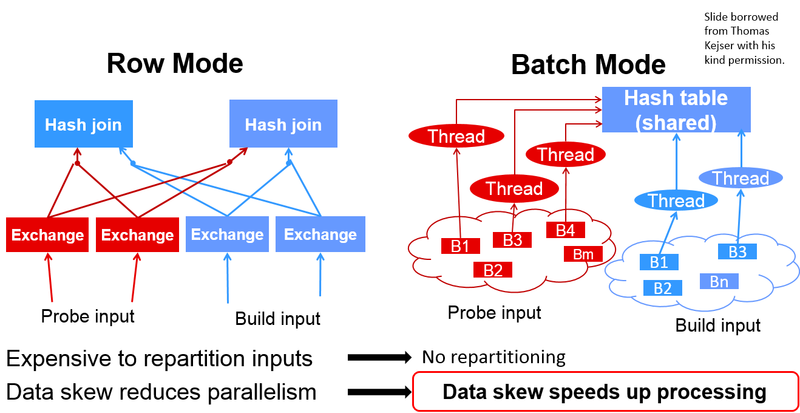 The row store engine partitions hash tables across NUMA nodes, which I suspect to be the case the when the worker threads cannot fit onto a single NUMA node, conversely the batch engine will affinitize the hash table to a single NUMA node. If this is genuinely the case, a single hash table affinitized to a single CPU socket will cache out before the row mode equivalent partitioned across two CPU sockets does. 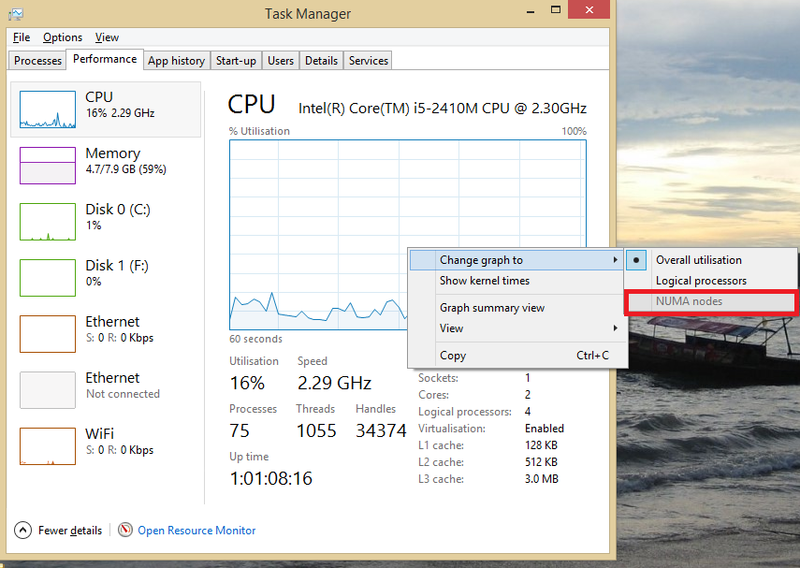 This is great but I want to capture CPU utilization statistics for the straight hash join iterator also. Herein lies the problem with the standard SQL Server tooling, you are limited by what the SQL Server development team at Microsoft wish to expose. 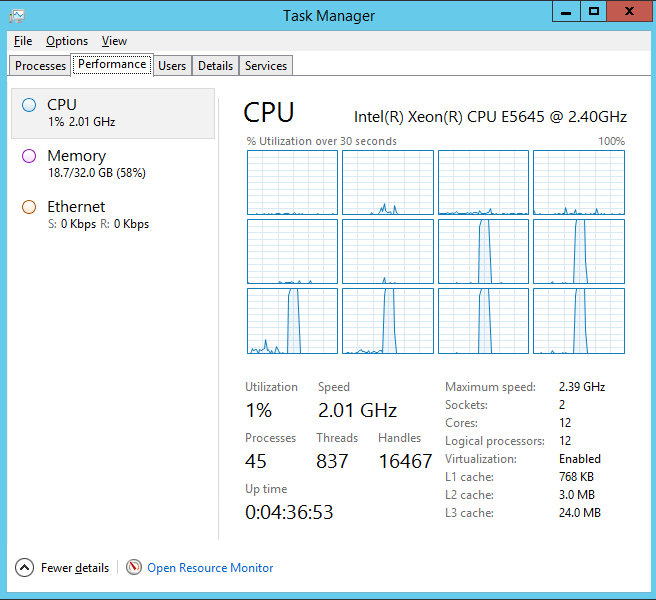 If the public symbols are available for the release of SQL Server you are using, CPU utilization across the entire database engine can be captured and explored in windows performance analyzer. This blog post should appear in the not too distant future, I hope you have enjoyed reading this one.